Just as the mining industry has a deep, rich history in the United States, so do schools of mining and colleges of engineering that offer degrees and certificate programs in the discipline. In fact, the University of Arizona’s history is integrated with that of the first mining schools in the country. When it first opened its doors in October 1891, the university’s first approved curricula were in agriculture, engineering and mining. Since then, the University of Arizona has retained the legacy of its original school of mining and agriculture, while expanding to become a first-tier academic and research institution that brings world-class expertise across many disciplines together. Today, the UA’s original school of mines legacy is continued within the Department of Mining & Geological Engineering and through the broader College of Engineering. Graduate-level mining education presents an attractive path for students who are interested in applying mineral, engineering and geological knowledge to an industry setting. For example, not only do mining engineers command a salary of $93,720, according to the U.S. Bureau of Labor Statistics, mining specialists have considerable flexibility in terms of the type of work they do; their responsibilities can range from implementing safety procedures to determining the value of extracted resources to managing cost and other financial elements of their organizations. Some mining programs focus solely on one or two of these subject areas, with multiple courses covering different aspects within each area. Other programs have courses that comprehensively cover nearly every aspect of mining and the mining industry. At first glance, it may seem challenging to tell whether a specific mining graduate program is right for you. However, there are a couple questions you can ask yourself to guide your decision. 1. Do I need a mining engineering certificate or a master’s-level mining degree? The best place to start is by considering where you are in your career now and where you want to go. If you’re looking for specialized knowledge in a particular discipline within mining, for example, you can augment your existing expertise with a graduate certificate in mining. Graduate certificates in mining also present excellent options if you’re looking for rapid career advancement, since they require a shorter time commitment than a master’s program. However, the flexibility of most graduate certificates also allows students to apply credit earned in these programs to master’s programs if they decide to pursue a master’s degree at the same school. Master of mining, Master of Engineering in Mining and geological engineering programs are geared toward individuals who want to gain comprehensive knowledge and skills to position themselves for high career mobility. Since many master’s programs offer emphasis areas, you can still obtain specialized knowledge in areas that interest you the most while still gaining the broader knowledge to understand organization- and industry-wide concerns. 2. Should I earn a specialized master’s degree in mining or a broader engineering degree? Although many engineering programs offer coursework that is applicable to mining engineering, broader programs do not often have the depth of knowledge for those who wish to pursue higher-level executive and technical careers in mining. 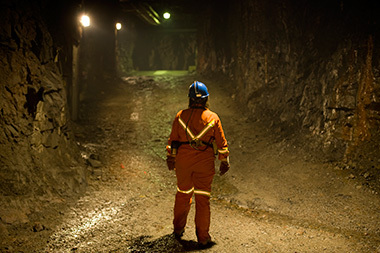 For instance, systems engineering programs offer simulation modeling and analysis courses, but Master of Engineering in mining programs will also provide the practical knowledge of how different modeling techniques apply to resource extraction in the mining industry. Mining courses from general engineering programs may be valuable if you have a specific area of interest and can find a program with a specialization option to match your passion. However, Master of Engineering in Mining programs will have a more extensive selection of relevant courses and more options for specialization so that you can gain more broadly applicable knowledge without sacrificing depth of expertise. The University of Arizona has held a unique position in the history of mining in the United States. When it first opened in 1891, UA’s school of mines welcomed students interested in topics ranging from ore analysis to metallurgy. The school was renamed to the University of Arizona College of Mines in 1915, and it became one of the first of its kind. After a period of rapid expansion, the college merged with UA’s school of engineering to form the University of Arizona School of Mines and Engineering, one of the first comprehensive mineral resource and extraction education departments in the nation. As a result, the department has attracted some of the foremost experts in field as well as faculty with extensive experience working in the mining and geology industries. This has allowed the program to evolve with the modern world of mining, while retaining the breadth of knowledge and legacy of a top-tier institution. These advancements and modernized curriculum, which includes techniques in analysis, modeling and simulation, have made UA’s program one of the most comprehensive mining and engineering programs available. The department of mining and engineering remains part of the University of Arizona’s larger College of Engineering, which the U.S. News & World Report ranks as one of the top engineering schools in the nation. The online Master of Mining, Geological and Geophysical Engineering not only helps students build depth of knowledge, it offers significant flexibility through an extensive selection of electives and emphasis areas, ranging from mining information technology to sustainable resource development. University of Arizona’s mineral process and extractive metallurgy emphasis area is one of the only programs of its kind and provides extensive technical knowledge for students interested in mining as well as the broader physical sciences.